Acknowledged professionally by The Art Therapy Credentials Board, Inc., Emmy Lou Glassman has lectured, published, and facilitated local and national workshops, on the positive role that art therapy can play in enhancing lives. In 2017, she was recognized and honored by the American Art Therapy Association, receiving the prestigious Distinguished Clinician Award-Adolescent Services. Emmy Lou crafted and facilitated a unique high school program in the Fairfax County Public Schools (FCPS) system. This program, integrating art therapy theories and practices into the public school framework, encouraged individual growth and self-expression in an open studio setting. During that time, Emmy Lou served as a clinical field supervisor for The George Washington University, by providing art therapy student interns with first-hand experiences. In addition, she has been an adjunct faculty instructor for both The Corcoran School of Art + Design and GWU graduate programs. Since transitioning from FCPS, Emmy Lou established and continues to maintain, a private practice which provides art therapy services for clients of all ages, as well as professional supervision for new and established art therapists in the field. An artist herself, Emmy Lou has exhibited her work in galleries and shows and enjoys mixed-media exploration above all. Her vision for Circle Art Studio is that it offers varied art experiences to a wide community who come to listen to their creative voices, learn to thrive on discovering inspired ideas, and are enriched by working side by side in discovery. 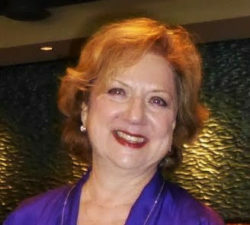 Emmy Lou is a member of the American Art Therapy Association, Potomac Art Therapy Association, and Virginia Art Therapy Association. Sangeeta Prasad has over 25 years of experience working with children and adults using art therapy. She earned a master’s degree in Art Therapy from The George Washington University and is currently an active alumnus. A board-certified art therapist, Sangeeta has accrued a wide range of experiences in various settings and with varied populations. Building on her skills as an art educator and an art therapist, Sangeeta’s approaches are holistic — teaching about media and techniques to create a foundation for using art as therapy with both children and adults. She combines mindfulness and creativity to bring awareness to the present moment in a non-judgmental manner. Sangeeta helps others to create a space between stimulus and reaction so that they may respond with compassion to the self and others. 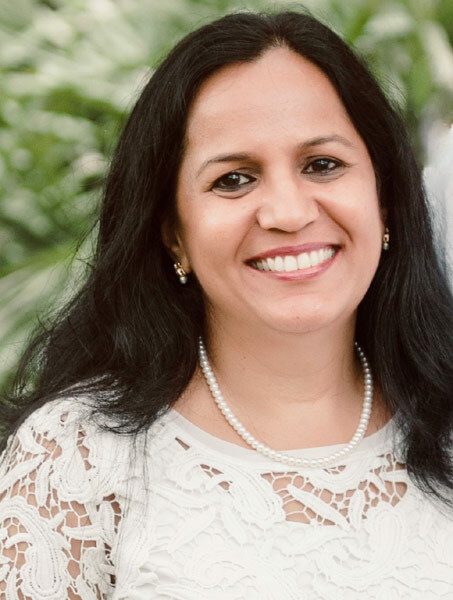 Sangeeta enjoys working with people through her private practice, supervision, workshops, discussion forums, and conferences of The American Art Therapy Association and numerous institutions in India. Topics addressed by Sangeeta have included an introduction to the field of art therapy itself, cultural issues, art therapy with children, and research in art therapy. She currently promotes the understanding and growth of art therapy through her foundation. Sangeeta served as a Director on the Board of the American Art Therapy Association from 2016-2018. While working with people in various capacities, Sangeeta continues to develop her artistic side through painting– using traditional Indian art techniques and precious textiles. Sangeeta is a member of the American Art Therapy Association, Potomac Art Therapy Association, and Virginia Art Therapy Association. For further information about Sangeeta, visit her website. You may email her at: music63@gmail.com.